MILWAUKEE (March 21, 2018) – Johnson Controls announces the introduction of the DSC LTE Universal and PowerSeries Neo LTE Alarm Communicators, offering flexible communication options that work with LTE and existing 3G* networks. The new communicators ensure current and future compatibility with more modern cellular networks as mobile providers have started to phase out their legacy 2G/3G communication networks. 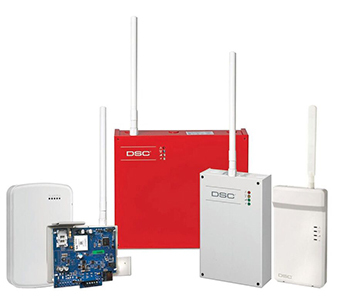 The DSC family of LTE Universal Alarm Communicators provides compatibility with most security panels offered in the market today, ensuring a smooth transition to LTE. The PowerSeries Neo LTE Alarm Communicator ensures high-speed, reliable communications now and into the future by providing cellular and/or IP connectivity, in addition to the encrypted PowerG wireless technology used by PowerSeries Neo. Switching to an LTE Communicator allows customers to upgrade without replacing the entire system with the knowledge that they have invested in a product that will be viable for many more years to come. For more information on the DSC LTE Alarm Communicators, visit www.dsc.com.